Another view of Wiffen Spit Park in Sooke, British Columbia. The fog and mist that had dogged us all day finally began to clear off when we arrived out at Wiffen Spit. If you look closely in the distance, you can see plumes of fog rising off the hills in the distance across the water. This entry was posted on Monday, April 2nd, 2012 at 12:30 PM. 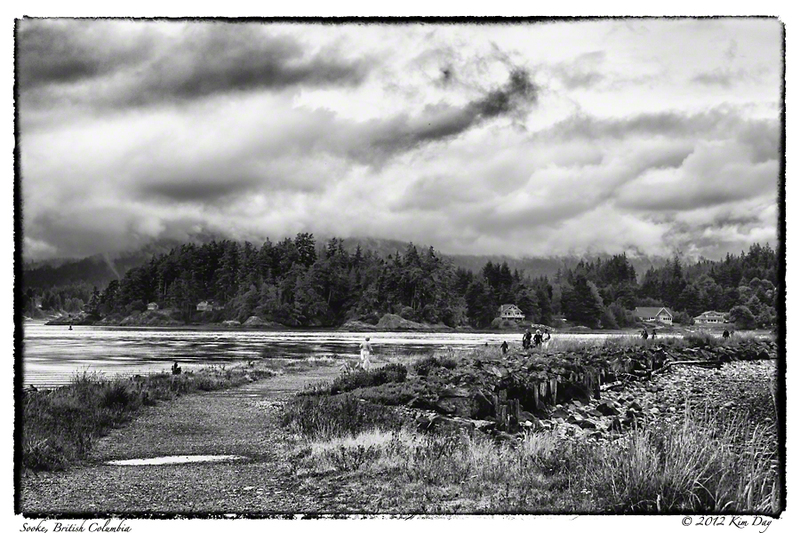 It is filed under Canada, Globetrotting: Near and Far, Travel, Victoria and tagged with British Columbia, Canada, HDR Efex Pro, HDR Photography, Silver Efex Pro, Sooke, Vancouver Island, Victoria, Wiffen Spit Park. You can follow any responses to this entry through the RSS 2.0 feed.